offering a cultural experience in an antiquated setting. Enjoy breath-taking views of The City Palace, Jagmandir, Monsoon Palace, Lake Pichola and the Aravalli hills from our roof top pool and restaurant. Reliving the Antiquated- An ideal venue for weddings and events in Udaipur amongst recreated ruins of old temples. Fateh Niwas has 4 different venues with 2 swimming pools and a conference hall. Room Service, Baggage Storage on Request, Party Hall, Complimentary Newspapers in Lobby, Laundry Facilities, Breakfast Services, RO Water Purification System, Doctor on Call, Disabled Facilities, Restaurant. Smoking Rooms, Bottled Water in Room, Cable/Satellite TV, Ceiling Fan, Desk, Complimentary Toiletries, Child Care, Balcony / Terrace, H/C Water, Television Room. 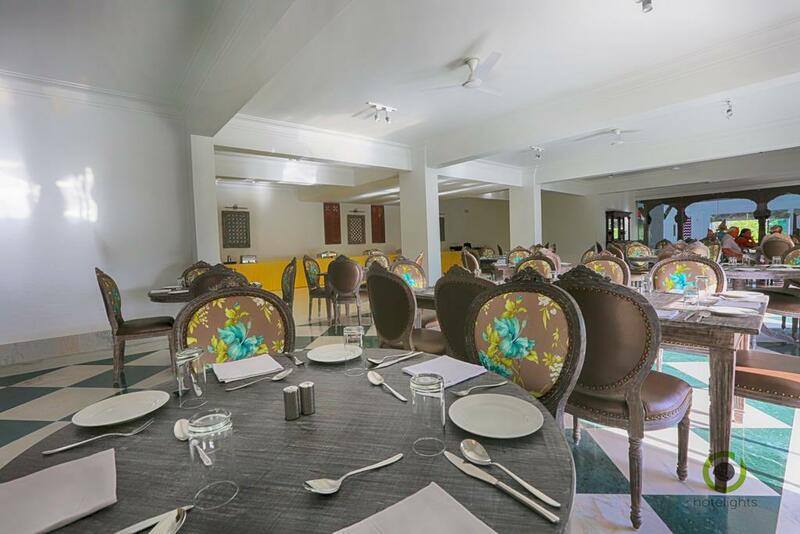 Banquet Facilities, Breakfast Services, Business Facilities, Conference Hall, Doctor on Call, Laundry Facilities, Parking, Restaurant, Room Service, Secretarial Services, Bar. User reviews for "Fateh Niwas Hotel Udaipur"